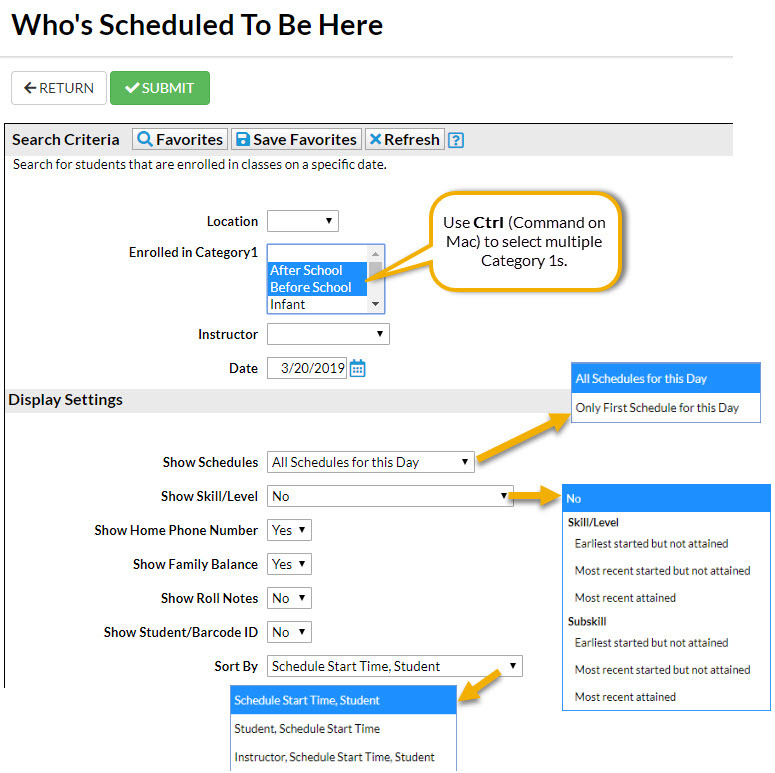 Located under the Students menu, the Who's Scheduled to be Here report offers a quick way to list all students enrolled in classes that meet on that specific date. This report can also be accessed from the Reports menu, in the Families/Students section. The Family balance can be displayed on this report, giving you a heads up on anyone expected that day who may have an account that needs attention. Quickly notify students expected at your facility of any disruption to classes that day with the ability to email from the report results. 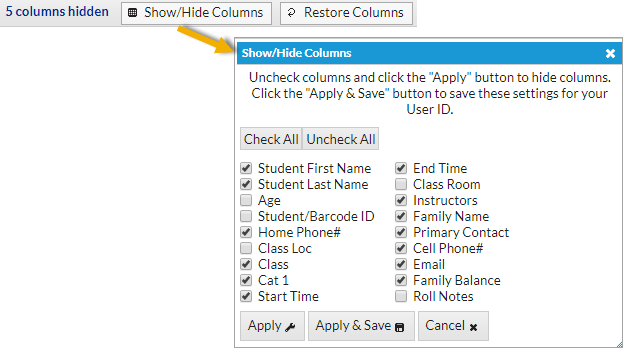 Search for students based on Location, Category 1 (multi-select available), Instructor, and Date. Optionally include students with scheduled absences or students who are scheduled to be there for a makeup class. Display settings allow you to control whether you want to see all classes or just the first class of the day and whether or not you want to include student skill/level information. You can further customize your report by including additional information, such as the Home Phone Number or Family Balance, and choosing a sort order for the results. This report has direct email functionality from the results. Opt to send an email to all students in the list or select only a few students to email.